Product #60725 | SKU LS-T08 | 0.0 (no ratings yet) Thanks for your rating! 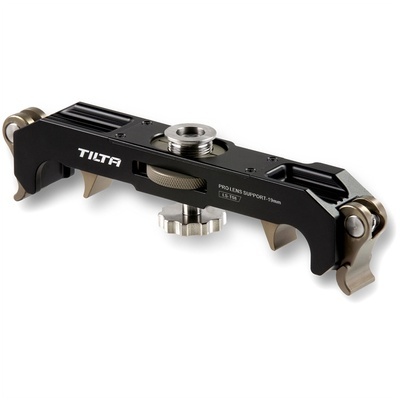 Prevents sagging of heavy lenses and twisting of lenses when using a strong follow focus motor. This studio-compatible Tilta 19mm Pro Lens Support lens support prevents sagging of heavy lenses – which can cause misalignment of the image on the sensor – and twisting of lenses when using a strong follow focus motor. Simply mount the 19mm Pro Lens Support onto 19mm studio rods under the lens’ 3/8”-16 screw hole and secure the support screw to the lens.